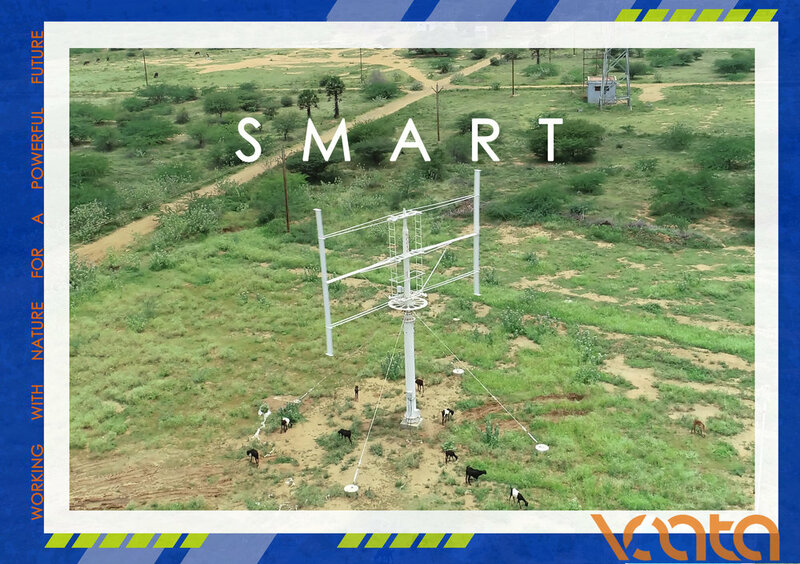 SMART is a Small Vertical Axis Wind Turbine (VAWT), of 5.5 kW rated capacity designed and developed from scratch, completely in-house at Vaata SMART Limited Chennai by our committed R&D Team, utilizing state of the art computing, design and manufacturing technology. The main objective of SMART is to provide a low-cost, sustainable, affordable and reliable source of energy. The Project to design, supply, install and commission two SMART Wind Turbines was completed in challenging conditions atop the Kolli Hills. Smart Wind Turbine is installed at Suzlon - Radhapuram premises and Energy supplied by the turbine is evacuated to LT grid of Suzlon site office - Radhapuram. First third party Installation - Hospital in Tamil Nadu - enables hospital to be less grid dependent. Vaata Smart Limited and Cooperative Spinning Mills Limited have join hands to produce power at lower costs with the “SMART Vertical Axis Wind Turbines” at farmers cooperative spinning mill in Gadag district of Karnataka. SMART - A clean source of energy! SMART is designed from the ground up completely in India. Currently, we manufacture 5.5 kW capacity Smart Small Wind Turbine, Type Tested by the National Institute of Wind Energy (NIWE).